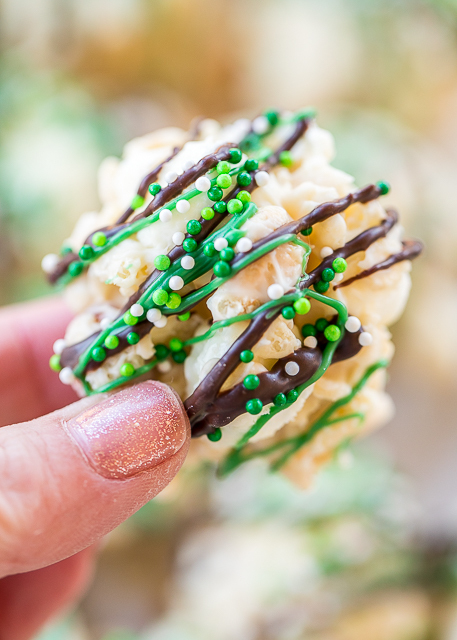 These No-Bake Mint Chocolate Krispies are the perfect treat for the upcoming St. Patrick's Day holiday!! Not only are they festive, they are super delicious! You only 5 ingredients and about 5 minutes to whip up these puppies. 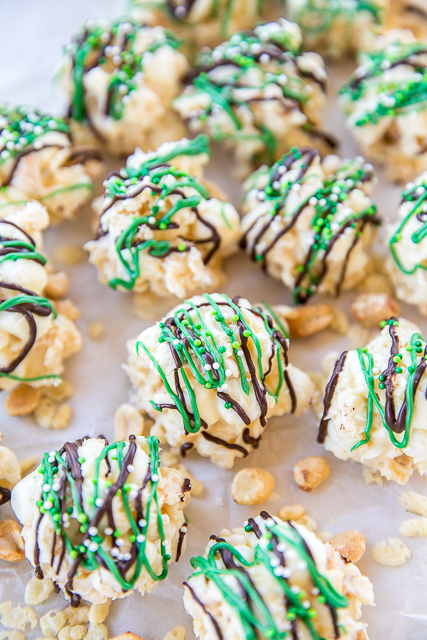 I melted some chocolate chips and green candy melts to drizzle on top of the krispies, but that is totally optional. I think it really adds to the festiveness of the candy. 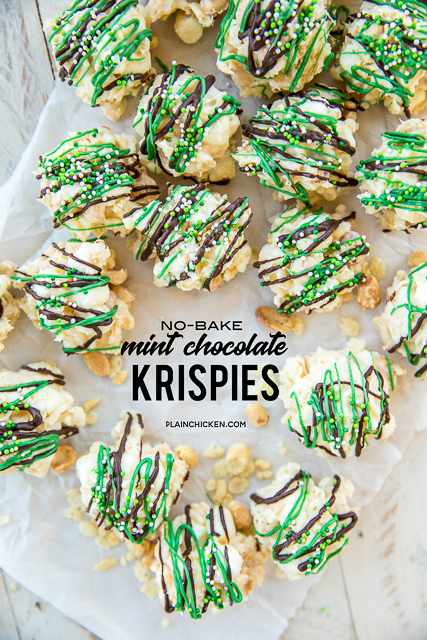 I used white almond bark for these No-Bake Mint Chocolate Krispies. I like the Walmart brand of almond bark. It is inexpensive and works/tastes great in this recipe. One note about working with almond bark and candy melts. You can't add regular liquids to the mixture because it will seize up. To flavor the almond bark, you need to use peppermint oil. You can get some at Hobby Lobby or Michaels. The oil doesn't make the almond bark seize up. 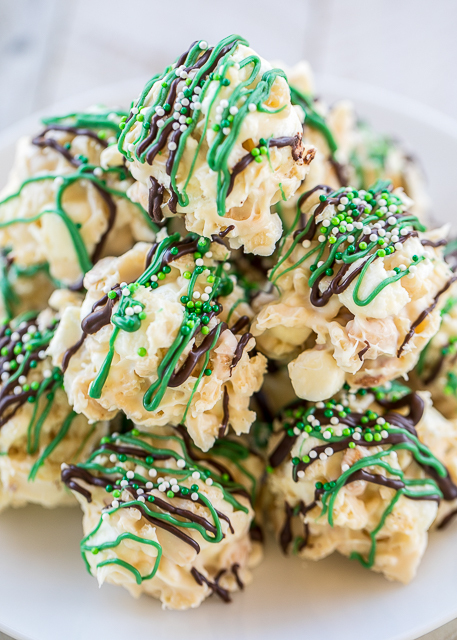 We devoured these No-Bake Mint Chocolate Krispies. They were CRAZY good! I had a really hard time controlling myself around these yummy treats! Give these a try ASAP! In a large bowl, combine cereal, peanuts and marshmallows. In a microwave-safe bowl, melt white almond bark according to package directions. Stir in peppermint oil. Pour melted almond bark over cereal mixture. Stir well. Using a medium cookie scoop, drop rounded scoops onto waxed paper. 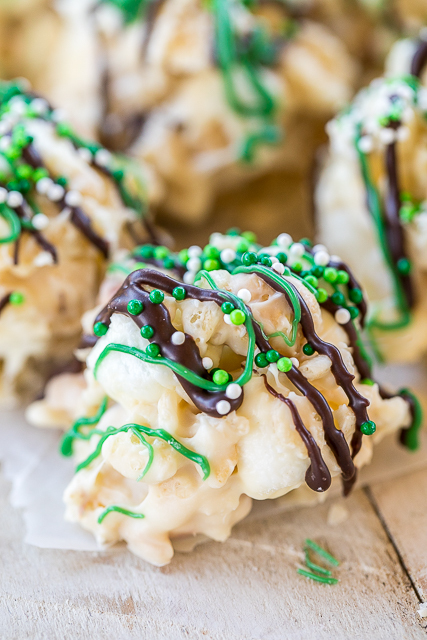 Melt chocolate chips and green candy melts and drizzle over krispies. Let sit until firm. Where did you get the cute green sprinkles on top? Can you use regular salted planters cocktail peanuts instead of dry roasted ? If you don't have the Bark can you substitute white chocolate chips melted? I tried this with white chocolate chips and it didn’t turn out as good. It didn’t melt as smooth as the bark. But it is your kitchen. Make it your way. Can I use peanut butter chips instead of peanuts...thank you.